Learn about programming with numbers, dates and time in Python. Python Programming - Working with Numbers, Dates and Time will introduce you to mathematical operations, converting variable types and using dates and time in your code. The course begins by introducing you to storing numeric variables in your code. You learn about the difference between creating a numeric variable compared to creating a string. You will learn about performing mathematical operations in your code, formatting your numbers and printing them on screen. You will also learn about getting the user to input numbers and converting that input to work with your numeric variables and mathematical operations. 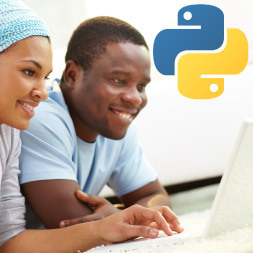 This course will be of great interest to those learners who wish to get started in programming and improve their ability to write programs using the Python programming language. Prerequisites: You should have completed the previous course in this series: Introduction to Programming with Python. Having completed this course you will be able to: - Describe the process of storing numeric variables. - Identify the use of mathematics operators and Formatting Numbers. - Describe the process of getting user to input numeric values into your program. - Describe the process of using dates in your program. - Identify the different methods to format dates in your program. - Explain how you use the same function to format time as you did for dates.